Daniel Reid, recluse, mountain man, and ex-special forces considers himself a beast. Ever since his closest friend died because of Daniel, he considers himself unfit for human company. With only his animals for company, he lives high in the Black Hills of Wyoming and trains horses for a living. Then Rebecca (Becca) Adams moves onto his mountain. He would avoid her, but she’s unprepared for the Wyoming winters and he can’t turn his back on her. Besides, he senses a deeper need in Becca, a need for healing. But how can he help her when he can’t even help himself? They’d once served their country. Now they’ve come home to protect those closest to home. 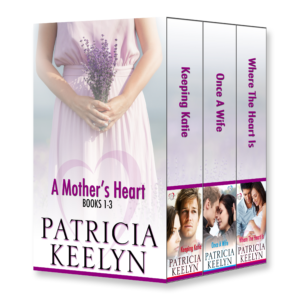 Did you all know that besides my contemporary romance novels, I also write suspense under the name Patricia Lewin? So far, I’ve written three, all of which were originally published by Ballantine Books (Random House) in hardcover, mass market paperback, and audio. Recently, I got back the rights and started releasing them in eBook format. 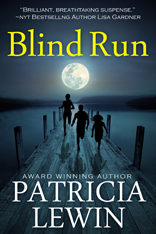 The first of these, Blind Run, will always be one of my favorite books. Plus, it was named one of RWA’s Top Ten Books of the year. If you like edgy books, check it out. Check out the first chapter: here.